The world of macro photograph is one that can absorb a photographer completely. You start off simple, perhaps with a reversing ring photographing small things around the house. Then you find a bug or two, buy a macro ringflash. Perhaps a speedlight or two, small reflectors and maybe even a softbox. But there’s only so much you can shoot at home on the kitchen table. Getting out on location to shoot macro can be great fun. But the issues dealing with tripods or hand holding available light shots can be a pain. The typical go-to is the ringflash mentioned earlier. But there are some tricks to taking your tabletop studio out on location. In this pair of videso, Paul Morgan from Wex walks us through his mobile macro studio, and how he uses it on location. 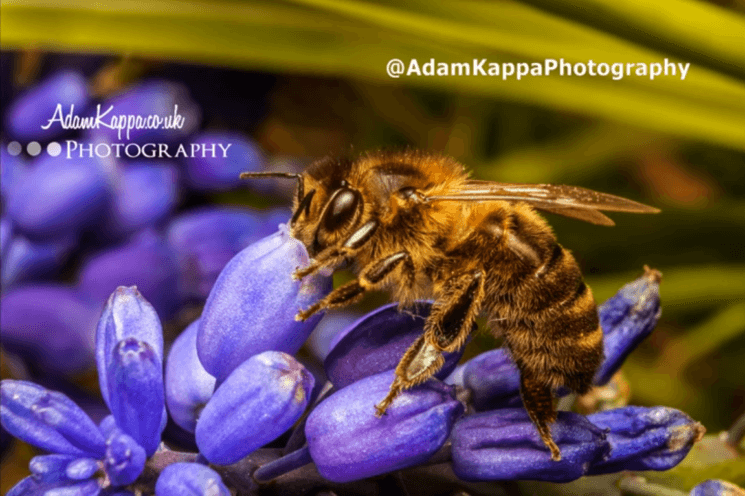 If you’d like to explore macro photography and you’re not willing to invest thousands of dollars in professional macro lenses, photographer Adam Kappa has quite an affordable solution. He shares the setup he uses for macro photography which all of us can use with minimum investment. It involves a kit lens, a cheap external flash, macro tubes and a DIY diffuser. So, with less than $100 of additional gear and some DIY magic, he achieves really great results. Take a look. Weddings happen in a whole variety of different locations. Not all of them are as pretty as others. Sure, it’s nice to be shooting in a glorious venue, but sometimes you’re stuck in a boring grey room. This can make things tricky for shooting detail shots like the wedding rings. But there are ways to get pretty fantastic ring shots, even in the dullest of environments. Texas based wedding photographer Ammar Selo has solved the problem of dull venues by bringing his own set and props. With them, he can create beautifully coloured backgrounds, and a much more pleasing result. When we saw his work come past our screens, DIYP decided to get in touch with Ammar to find out how he does it. The team at Beauty of Science see the world a little differently to most of us. While we’re far too busy looking with our eyes, they’re seeing through microscopes and macro lenses. So many things happen on the small scale that we simply can’t see. Things we’d never even know about unless we went specifically looking for them, or somebody showed us to them. And showing them to us is exactly where Beauty of Science excel. To round off their 2016 they’ve released the short film, Seasons – In a Small World. It shows incredible beauty found in the extremely small. Sights we’d not otherwise be able to see, and as the name suggests, it covers the four seasons found throughout the year. The colours, pace, timing, and action goes extremely well, set to the Strauss’ The Blue Danube. If you shoot macro, there are several options: buying extension tubes, reverse rings, or a macro lens. The first two solutions are cheap, but don’t always give the results you want. On the other hand, macro lenses are quite expensive. But ZY Optics has launched Super Macro 20mm f/2 4.5x, a lens that takes the best from both worlds. It’s both affordable and gives very good results. Extension tubes open up a whole new world of photography! With travel photography, one of the issues is prioritising equipment. You simply can’t carry everything you could possibly want to bring. If you do then it often hampers the overall travel experience as you’re weighed down by equipment and have to constantly look after it. For me, on my current trip that meant I couldn’t justify bringing a dedicated macro lens, especially when I had the XF56mm and XF50-140mm covering the similar focal lengths offered by the two available macro options. Instead I chose to pack both the 11mm and 16mm extension tubes (MCEX-11 and MCEX-16, about $90 each). 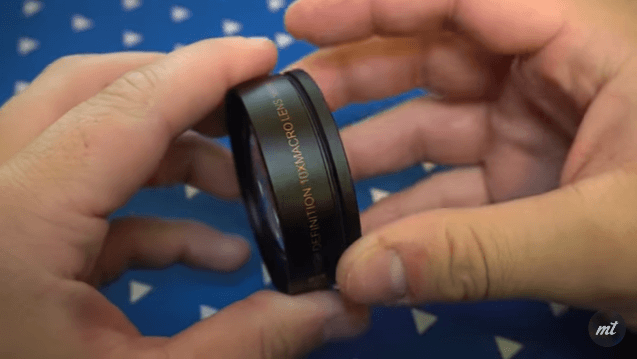 Offering camera-lens communication that allows autofocus, these simple compact devices can turn nearly any lens into a macro option (but please check lens compatibility). With influences ranging from The Avengers and X-Men to Star Wars and The Martian, French photographer Sofiane Samial (AKA Samsofy) spends his days making amazing Lego photography in a project titled Legography. Intriqued by Samsofy’s work, DIYP reached out to get some more insight into this project, discussing his inspirations, and how he creates them. Photographer Nicky Bay headed to the Amazon’s tropical rainforests, but he wasn’t after the jaguars, anacondas, sloths or piranhas the region is so famous for. Instead, being a macro photography, Nicky set out to document the creatures so small they are often overlooked or disregarded. If you like creepy-crawlies you will love these photos. If you don’t, you’ll probably remove the Amazon rainforest from your travel wishlist.